Has experienced back pain or is concerned about health and well being. Ranks comfort and support first on the list of attributes in a sleep set. Is interested in top-rated consumer products. Helps to reduce asthma and allergy triggers while providing exceptional softness and resiliency. A surface constructed of pyramid shaped tips creating thousands of body contact points resulting in unequaled comfort, and individualized conforming support. 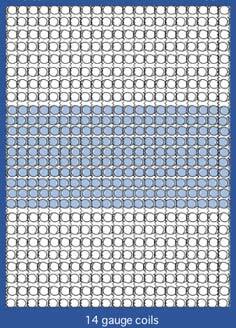 Reduces motion disturbance from partner movement. Coils in the Elle Deluxe are positioned closer together in the center of the mattress where most of your weight is concentrated. The Total Balance™ Spring System provides contouring support to the hips and improves lumbar support. 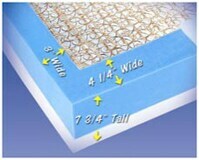 When compared to other brands, the Back Supporter Elle Deluxe mattress offers exceptional value.